So Diego just started going to a (pre)pre-school and is making new friends. She came home and was listing off names for her stuffed animals. One of those names was “Josep.” I think she meant Joseph, but whatever. 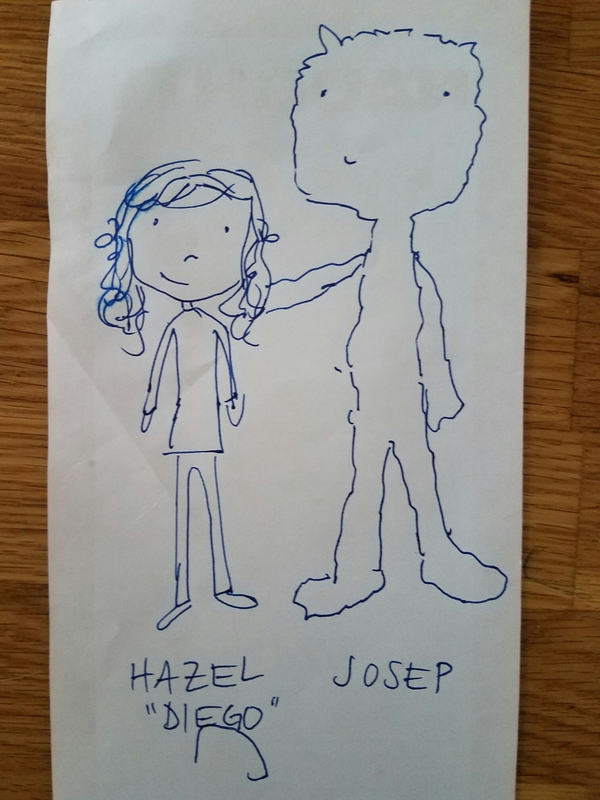 This turned into Hazel creating an imaginary monster friend named Josep. 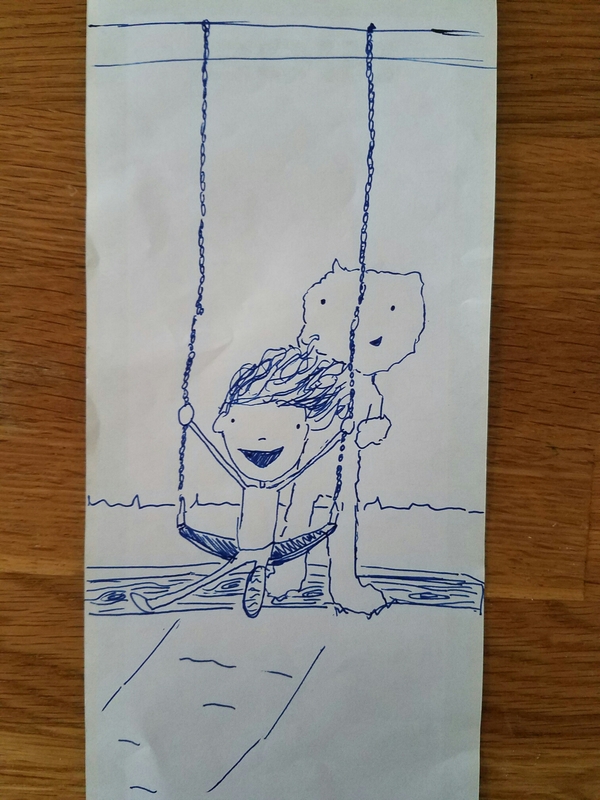 He’s purple (her favorite color) and he’s a nice and funny monster. Here are a few quick sketches of Josep and Diego having fun!